CLEVELAND, OH (WOIO) - In the days since his inauguration, Gov. Mike DeWine has been busy meeting with business and automotive industry executives of Ohio. At noon on Thursday, Gov. 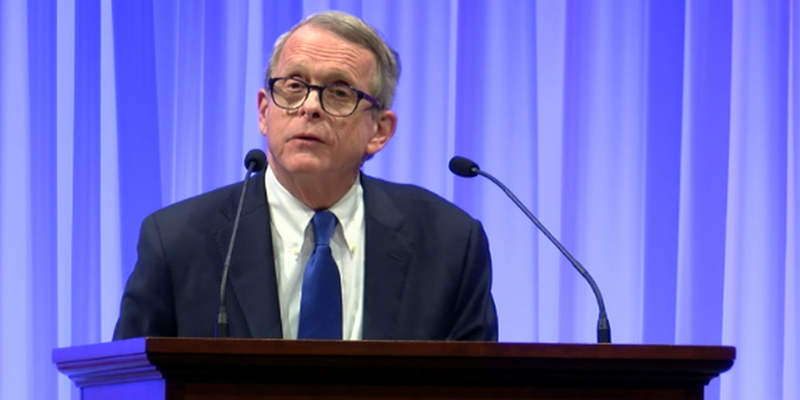 DeWine provided an update regarding any potential progress being made after talking with the CEO of General Motors, Mary Barra. Gov. DeWine, along with Lt. Gov. Jon Husted, travelled to Detroit for the North American International Auto Show on Wednesday. There, he emphasized why Ohio should remain a leader in the business and automotive sectors.